Welcome, and thank you for visiting The Shaving Review. Chances are you are here looking for a solution to one of the many issues that can come up with shaving. Sensitive skin that is prone to razor burn, with no amount of care seeming to make much difference? Coarse or curly hair that keeps resulting in bumps? Need a good straight razor, or simply to learn about what your options are and how they can work best for you? You’re in the right place. Shaving is something we all have to do, so we might as well do it right. You may have heard about “The Art of Shaving,” and in many ways it truly can be an art. There are a lot of factors involved, from technique to equipment, in giving you the so-called perfect shave. No irritation, no missed spots, no razor bumps or burns. Giving yourself what looks and feels best for you, whether that’s silky smooth or intricately styled, requires the right tools and sills. Here is some of what we cover so far, and will continue to do so as we grow. This is an important subject for men and women alike. I used to think razor bumps and burns were simply a matter of using a “good” razor (more blades = better, right?? ), a shaving cream that says “sensitive skin” and going slowly. As many of you reading this know, this is not the case. There are different physical factors such as your skin type, whether your hair is coarse and curly, and the type of technique you use. Then there is the shaving equipment you use. In many cases, a single blade razor is extremely valuable. Properly moisturizing your skin, using a shaving brush, and other things you may have not even heard of before. Some kits and razors are specifically designed to address this problem, sometimes for a particular type of skin or hair. Quality shaving kits contain all of the tools that you will need for every step of what you might call the ideal shave. Pre-shave oil: This is designed to prepare your skin, and get the hair in the best position to be removed with minimal resistance. If you have a beard, it also helps to soften it. A pre-shave oil helps the glide the blade gently to help prevent razor burn and irritation. Shaving Cream: You’ve all heard of this one, but there are more factors at play here than you might be familiar with. More on this in a moment. Shaving Brush: The best way to apply shaving cream for a variety of reasons. There are different styles for different types of skin and hair as well, which will be discussed in detail on this site as well. Aftershave and/or other oils: The primary function of after shave is actually pretty interesting. It closes the pores in order to keep bacteria from getting to hair follicles, which can cause bumps and other common issues. There are alcohol as well as lotion based after shaves that have different benefits. Straight razors are like you see in the barbershop. 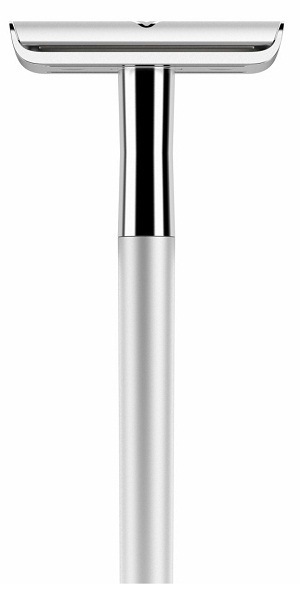 A single sharp blade, it gets the closest and smoothest shave possible. It does however, require a certain level of skill, and there is of course a much greater risk of accidental cuts and scrapes. 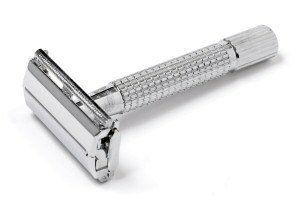 “Safety razor” is a term for most razors you see in homes, where there is a protective mechanism, often plastic, between the blade and your skin. There are a lot of variations here which can be explored. One increasingly popular solution are safety-razors that use a single straight blade. While this has been around in some form or another since the 1800s, the popularity of disposable razors, multi-blade cartridges and other developments put these in the background. They are the closest one can get to a barbershop style shave, but with far more manageability and serious decrease in the possibility of nicks and cuts. As you probably know, this is used to provide lubrication, but there is more to it. A good cream will stimulate keratin, a protein which makes up the skin making it less sensitive. Shaving creams are not all created equal. A high quality product can make a huge difference, especially for those of you who suffer from bumps and burns. There is also the manner in which it is applied. The way that is considered the most effective is the shaving brush. You will find them reviewed on this site individually sometimes, but often in kits such as the Bevel or Art of Shaving kits. If you have any questions, anything you’d like to see on this site, comments or reviews on products, and anything else relevant, please feel free to leave comments. We will see them and take them to heart. Thanks for visiting! Bevel Razor Review: Should Men Buy This Product? Copyright 2017. Please note that some links on the site are affiliate links where we can receive commissions if a user buys, which helps us to maintain the site.